The Limited Liability Company or LLC is really a fusion of two forms of business entity status. Each has unique positive attributes and legal protections. The first is the corporation. Every state allows this form of business entity status. It basically protects (shields) the owner from lawsuits and financial recourse. The second entity status that has high positive financial flexibility is the partnership format. This entity status has so many positive tax benefits, I can’t count that high. The primary Internal Revenue Service benefit is the pass-through format of taxation. In effect, the entity is not double taxed for income tax purposes. The tax is paid at the owner level. By combining these two forms of entity status, a hybrid entity was created. It is called the Limited Liability Company (LLC). Basically, it acts or is legally viewed as a corporation for legal and process purposes and is treated as a partnership from the IRS perspective. Every state in the Union recognizes this legal entity format but may restrict the legal name. Some states require other state agencies to authorize the entity due to the nature of the business. The most common non allowed use of this entity format is in banking. Others include trust operations, insurance carriers and endowments. Check with your state secretary for clarification of what is allowed. In summary, the LLC brings together the corporate shield protection and the financial flexibility of the partnership arrangement. This article is lengthy due to the nature of the subject matter. It is designed to educate and guide the small business owner in their decision process. If you desire to learn more and understand the details, please continue reading. In general, the positive features far outweigh the drawbacks of this business status formation. However, for you to appreciate the value LLC’s bring, the following section describes both the positive and negative aspects of the Limited Liability Company. In addition, I explain the tax implications and how you should address them if you desire to utilize the Limited Liability Company formation. Finally, I provide some suggestions in determining if an LLC is right for you. Corporate protection to an owner is essential, especially when there are several lucrative personal assets. Many owners use this form of legal protection to separate their personal assets from the financial obligations of their business. This useful tool has a long history of shielding the shareholders from financial bankruptcy and insolvency and any legal actions as a result of lawsuits. The partnership is absolutely the most flexible and beneficial format of business status as it relates to transferring wealth to the owners. In a partnership, the owners are referred to as partners. When the two are combined in the Limited Liability Company business arrangement, the owners gain both positive benefits. There are a couple of terms you need to understand. In this arrangement, the owners are referred to as ‘Members’. They sign a document called an ‘Operating Agreement’ or sometimes referred to as the ‘Membership Agreement’. This document creates the relationship between all parties. This document is what provides that flexibility in financial rewards to the members. I have an entire series of articles in the legal section of this site that explains the various sections of the partnership agreement. Remember, a partnership agreement is exactly the same as a membership agreement or operating agreement except for the title and the use of the term ‘Partner’ throughout. In a membership agreement, the term ‘Partner’ is substituted with ‘Member’. As I stated above, the entity is a combination of two forms of business. The first is the corporation. The corporation provides the protection for the owners. Basically, each state doesn’t look at the Limited Liability Company as a partnership but treats it as a separate legal entity and grants the LLC status as a corporation. Corporation status has a long history of court precedence and legal protection for the shareholders (owners). One of the most important protections is full separation of the owner from civil claim on the corporation. The corporation provides a proverbial shield or protection for the owners. Make sure you understand this, you get civil protection. Each state defines the latitude related to criminal protection for the owners. One of the best attributes of this limited liability relates to a civil claim for bodily injury related to gross negligence cause by an employee. You would hope this would never happen but it does. Therefore this limited liability protection is the number one benefit in creating the LLC format. A secondary benefit is the membership structure. This form of ownership and management is highly desired especially in more professional service based businesses. It basically is an ownership structure whereby voting is based more on your financial investment and any additional value you render in services than traditionally granted in the corporation formation. In the corporation structure voting is restricted to your number of shares owned in comparison to the total pool. Basically in the LLC structure, those individuals with greater invested values and power via goodwill or education and/or experience are granted more control in determining management and the outcomes in the business operations. The key is in the details of the operating agreement. A well drafted and executed agreement generates significantly more power to those members that bring the value to the membership. In a corporate structure, the earnings are distributed to the shareholders equally based on the percentage of ownership. Remember I said that the LLC has a distinct benefit in that the owners can allocate the earnings in any formula they desire. Again, the membership agreement stipulates this formula. The most common elements of the profit sharing relate to a mutual interest paid on the capital account balances and then typically some form of guaranteed payments for those members that carry certain beneficial characteristics or licenses to the group. For example, if one of the members is a so called ‘Rainmaker’ then often the group will vote to extend a guaranteed payment (basically a bonus) to this member for their contribution during the accounting period. Then the group may allocate out the earnings based on certain management performance ratios or equally or even based on the number of hours of work performed throughout the year. The value is in the ability to create any profit distribution plan to continue high performance. This is the core benefit a membership agreement creates for the respective owners. Although a state grants you protection like a corporation, unlike a corporation which has an unlimited life, a limited liability company has a maximum life permitted. Many states limit this life to no more than 60 years. I know, I’m not going to live another 60 years. But often in the small business world, businesses’ are family owned. The parents pass the asset to the children and then onto the grandchildren. With a Limited Liability Company, you really can’t do this. Now there are ways around this, some states will reissue the name upon termination but there are problems related to title of assets and ownership issues upon the termination of a business. Overall, this one drawback isn’t as detrimental as one would think. A lot can happen in 60 years. This is the single most negative issue related to Limited Liability Company. Self-Employment tax relates to the IRS Code. In a typical business formation, the owner is hired as an employee and the Social Security and Medicare tax are handled in the traditional payroll arrangement. But in the LLC organization the net profits are taxed with the self-employment tax. In your S-Corporation or standard Corporation existence, some of the profits are not taxed with the Self-Employment Tax. So the Limited Liability Company situation affectively increases your total tax paid each year to the government. As a side note, if the profits are less than $120,000 per member, this isn’t really an issue due to the design of taxation. It is once you exceed this value, the tax issue becomes a problem for the LLC. There are other tools to reduce the tax exposure. Those tips are incorporated in other articles. The value of a well written operating agreement is critical in eliminating control issues. One of the most frustrating aspects of control is a sudden change in one or more of the respective member’s personal lives. Marriage issues, birth of children, disability, health, and even death can wreak havoc with control of an LLC. Without good meaningful clauses in the operating agreement, you are going to have problems. Some states require the LLC to terminate if one of the members dies or if the purpose of the LLC is completed. Also, often personalities come into play with control of an LLC, especially a successful business operation. This gets back to the primary elements of any relationship; I cover more of this in The Basic Principles of a Partnership. Now that I’ve explained the positive and negative features, I’m going to elaborate more in regards to the tax issues. Limited Liability Companies are treated as one of first three in my list. The key to which one is elected lies in the application process with the IRS. I explain this in more detail in my article: Limited Liability Companies – Step By Step Setup. Unlike an S-Corporation, the real value of the LLC rests in the operating agreement. Income can be shifted between the members to suit performance and reward for value brought to the business by the respective member. This makes this form of existence beneficial to professional organizations such as law firms, engineering/architectural firms, and accounting practices. In an S-Corporation format, the only tool available to allocate the net income to the owners/operators is a change in the compensation packages or the issuance of bonuses. The least desirable tax implication is of course the treatment of each of the owners as self-employed individuals. Even though you are a member for legal purposes, the LLC issues a K-1 to each member. This K-1 assigns income and this income is reported on your personal 1040 in a very similar fashion as self-employment income and taxed exactly the same way. Furthermore, this income is often assigned to the member but a good portion is retained in the business (again the operating agreement stipulates the distribution process) for financial purposes. This is referred to as Phantom Income. Although the self-employment tax appears as an arduous tax implication, in the overall business arrangement, it really isn’t an issue. In any business structure, the most likely outcome is that the compensation package paid to the active owners exceeds the maximum taxable limit associated with Social Security (currently $118,500 in 2015). Any aggregated earnings less than this amount per member creates no additional tax burden on the respective member. For any amount in excess of $118,500, the actual marginal tax amount is 2.9% related to the Medicare Tax. So in the aggregate, the worse case scenario is a 2.9% tax penalty for any earnings for each member that is assigned to them that exceeds $118,500. Again, as I’ve stated above, a well written operating agreement can reduce this issue’s impact significantly via assignment of more interest income to the members (interest income is taxed differently than earned income). Other tools include managing the income streams and generating greater reliance on capital gains, rental income, and other unearned income as the revenue centers for the business. This shifts the classification of the income from earned to unearned income. So is the Limited Liability Company formation right for you? The next section points out some perspectives you should consider in determining the best entity format for your business. I see a lot of folks with the LLC designation in their company’s name. You see on trucks and documents. I often wonder what drove them to register their business as an LLC. Why didn’t they just stick to the S-Corporation or stay as a sole proprietorship? I know; a sole proprietorship has exposure to legal ramifications related to civil claims. But honestly, a good insurance policy along with an umbrella rider will pretty much nullify the effects of a lawsuit. Insurance is absolutely the best tool to reduce risk. Furthermore, if you have no wealth or real valuable personal assets (more than $50,000 of cash or cash equivalents) then what exactly will the winner of the lawsuit get out of you? Well, some attorney will tell you that the guy can attach to your future earnings. Ask the attorney if he has ever heard of bankruptcy? Because if you are in business, and you lose a lawsuit; you are going to go bankrupt anyway. Furthermore, if you are a professional, you’ll lose your license too. So future earnings is at risk no matter which business entity formation you choose. You see, it costs money to incorporate. A traditional S-Corporation will cost about $500 to set up and about $700 and more per year to file the appropriate filings and tax returns. An LLC will cost several thousand dollars to set up due to the legal costs associated with the operating agreement. Remember, the operating agreement is the document that maximizes the financial flexibility and control issues for the business. In addition, you will also pay $700 and more per year to do the annual filings and pay a professional to prepare the tax returns. So unlike the statements made by these so called professionals that tell you that this is the way to go because it’s cheaper and you get legal protection, its actually MUCH MORE EXPENSIVE due to the initial costs of generating a good operating agreement. A legal team will spend upwards of 30 hours documenting and wording the respective clauses. At $200 and more per hour, you do the math. That is one expensive operating agreement. The better partnership agreements I’ve read have 60 to 100 hours of work invested by the legal team to create and discuss with the respective members; so spending $15,000 to $25,000 for a well crafted document is not unreasonable. If it’s just you and nobody else, seriously just stick to the S-Corporation if you need legal protection. 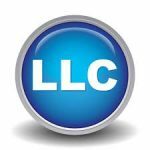 If you know that you’ll bring in future partners because you are a licensed professional, then the LLC may be a better choice. Naturally, you can stick with a simple and short operating agreement because there are no other parties to negotiate with. But prior to bringing in a partner, rewrite the operating agreement and pay attention to the financial flexibility and control clauses. This is where the real value of the Limited Liability Company is created. The attorneys had drafted a double tier partnership agreement whereby the fundamental assets were held by the lower tier partnership. The upper tier partnership held the controlling interest in the lower tier. An offer was made on one of the lower tier assets for a significant gain for all parties involved. It was an obvious choice to dispose of the asset and take the capital gain. The problem rested in the wording related to the sale of an asset comprising a certain percentage of the lower tier’s pool of assets. Based on the wording of the operating agreement, the lower tier general partners had to have the consent of the upper tier partners. There were over 30 upper tier partners; many had not been actively involved for several years. Well, four months later while trying to explain this to the respective parties, the buyer gave up and purchased a similar asset across the street. Now instead of a nice return on the investment, the company had competition right across the street! This was all due to the primary goal of the attorneys to prevent a lawsuit. That part was successful, but the real reason in you are in business was negated. No profit for anyone. This means that the operating agreement actually failed in its primary purpose – to make money. The point of all this is that Limited Liability Companies have a purpose and if exercised correctly, they can bring significant benefits to the owners. However, most businesses do not use them appropriately and therefore the actual value an LLC can bring is never harvested. These forms of entity formation are most beneficial to your more sophisticated business structures and goals. So in general, they really are not the best tool for everyone. Act on Knowledge. If you are interested in setting up a Limited Liability Company then please read: Limited Liability Company – Step By Step Setup.